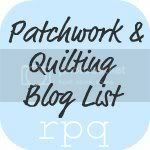 Between Stitches: the rotation of projects or am I really making progress? the rotation of projects or am I really making progress? Having read on blogs and in articles that cross stitchers rotated their projects, it seemed like a good idea to try it. The idea wasn't really new, but sometimes it's good to be reminded of them, and then there's the right time for them to be implemented. Now, I don't have anywhere NEAR the amount of projects that many people have in progress, but I do know the unpleasant feeling of that little voice nagging me to work on a project when entering my sewing room, or seeing it lying there in the closet, or when picking up that favorite project of the moment, leaving that poor WIP waiting for yet another day. So. Ann Grimshaw will be put aside for two weeks, and my red & white sampler will receive my undivided attention for the coming two weeks. As mentioned above, the hope was to get more work done, but the "spring cleaning" I've been doing in the house, and some small quilting projects have taken in some of that time, and let's not get started on the sudden runny nose, teary-eyed, sneeze-fest that suddenly came over me this week! Do you know how hard it is to cross stitch with all that going on? Right - so that's another reason progress has been slow. 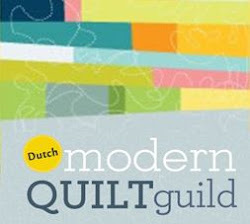 Furthermore, work on a small quilting project will resume shortly after this post is published. It's actually a "copy" of a quilted envelope I use to put my needlework projects with me. It's around 20 years old now (gasp!) and before recently only served to store my needlework canvases in. Oh, and may I say thank you to every one who has so kindly responded and corresponded with me since I've begun posting regularly again? It brings a smile, stimulates and encourages. Good for you rotating your projects. I find it too boring to work on only one thing as I need to let my emotions dictate what I pick up. 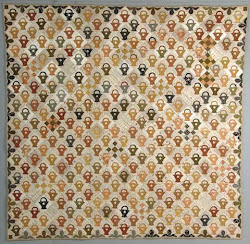 Right now my emotion is to get a quilt UFO done by next week. :) I think you have made real progress on Ann Grimshaw. Sorry about the mistake. I always check out things around it to see if it will mess me up too much. If so, I will rip it out and if it is not so bad, I will work around it. Not much help to you there am I? Hope you have a wonderful weekend and keep warm now that it has turned chilly. Is it a cold or perhaps allergies that caused you bout? I love how your Ann Grimshaw is coming along. I went to check this pattern out - do I really need yet another one :o) Sorry to hear of your mistake. I agree with Heidi check around it - you might be able to get away with it. Good luck. Have a nice stitchy weekend. Heidi: your advice is good! I'll take it! lol! Yes, it's a bummer that this motif is off by one stitch, but I'll take your advice and see if it won't throw off the rest of the pattern and then go ahead and continue with it. 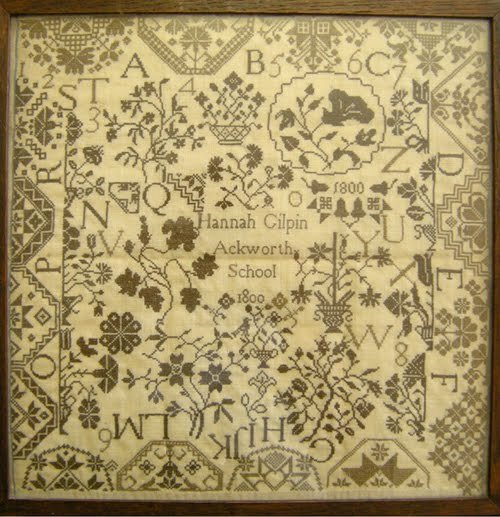 Luckily this sampler is made up of separate motifs so with a bit of a fiddle I may get away with it. Carol: If you really like this pattern, just go ahead and get it. I've always been sorry when I haven't! less than a year ago, I didn't think much of Quaker samplers, and then suddenly I found I really loved them! 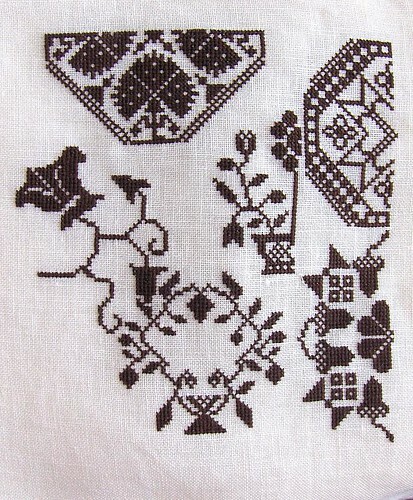 When I wanted to get the Beatrix Patter Quaker sampler, it was no longer in print. Happily I could get it on ebay through needleprint who is now offering it as a .pdf file. So now , if I see something that I like and it stays with me, I just get it. Good patterns are hard to come by..lol! With Quakers you can usually "fiddle" your way around a mistake. I have a motif that is one thread off on my Beatrix Potter and I can live with that! Ann is looking good. Thank you! I am very happy to stitch on this one and can't wait to get back to it..lol!